On this episode of the Jon-Eric and Abe Show, the boys go absolutely mad! Bikes, Pizza, Zack’s Birthday are all covered on the show. Plus, pink eye and what is Nayn Waits? Warning: Sombody gave Jon-Eric 151 Rum, so, you know, things go bad fast in this episode. In comereration of Cinco De Mayo Jon and Abe pull out a little known Tequilla Cocktail and some 'fun facts' about the holiday. Also Henry Kissinger, deep fried fair food, and some stuff about the Ninja Turtles. Jon and Abe get ready for the Kentucky Derby the only way they know how, with the classic Mint Julep. The boys share insults Shakespeare style and weave a yarn about a severed body part. It's episode 32 and according to Abe our show is having a midlife crisis. It may be true, the show has been drinking heavily and has started listening to light pop/rock hits from the 80s'. On this episode of the podcast Jon, Abe and Zack tackle the collins. Both Tom and Phil. Plus Batman, Flappers and Bad Beverage Ideas. 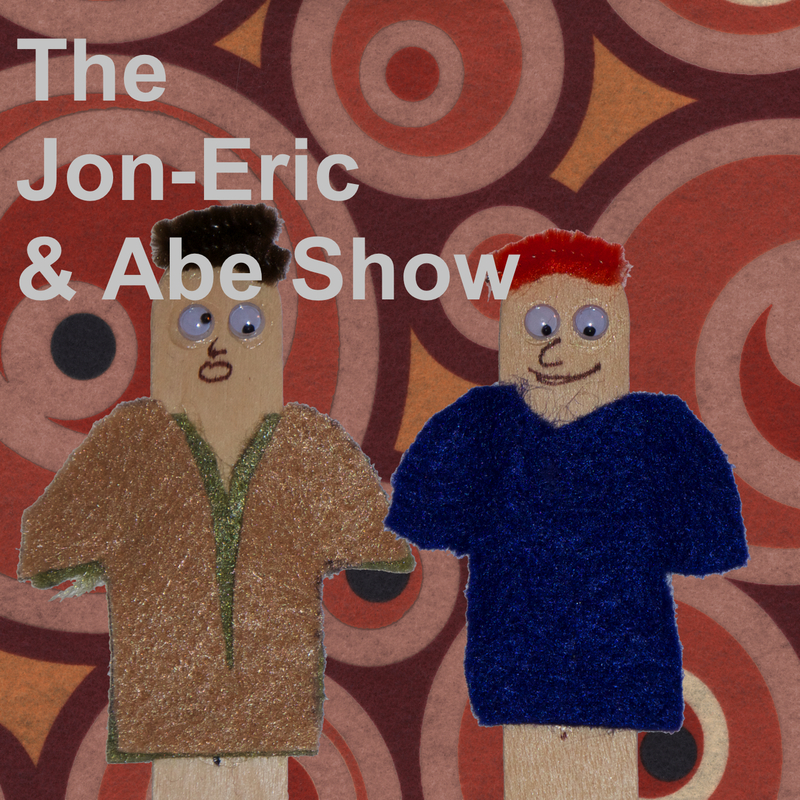 An incredible range of topics discussed on this episode of the Jon-Eric and Abe show! Winter Storms, Star Wars, Junk Cuts, Bad Jobs, Dreams, Astronauts and More! In this episode of the Jon-Eric and Abe show, Abe an Zack make super sweat and sugary margaritas, the boys talk Star Wars Ep. VII and we Hulk out a little bit. Two derp who derp with friends.